Produced by a company with almost 50 years of experience. BG 44K® is the number one fuel injector cleaner! In a recent survey, dealership service managers chose BG 44K® 6 to 1 over the next aftermarket supplier. 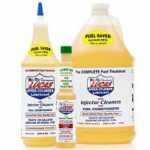 BG Products, Inc., the creator of the BG 44K Fuel System Cleaner, should be a familiar name to many automobile enthusiasts around the globe. They’re the leading manufacturer and supplier of fuel and oil conditioners, various specialty chemicals, greases, equipment and tools, and are ISO 9001, 14001 and OHSAS 18001 certified. Founded in 1971 by seven entrepreneurs: John Thompson, Sam Parks, Don Walton, O.J. Connell, Q.T. Williams, Don Broadbent, and Roy Leslie. Six of them decorated WWII veterans, ready to enter the world of business. From humble beginnings to the greatness in the modern age, BG products have stood the test of time. 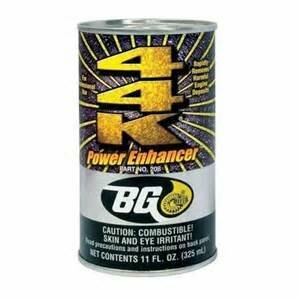 BG 44K® is 11 ounces of high quality detergents and additives that you pour right into the gas tank to restore performance and gas mileage. It vanquishes deposits in combustion chambers, intake manifolds, ports and on valves and restores flow in fuel injectors. Basically, it helps to clean the entire fuel system! 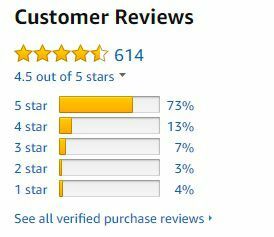 While this particular product is NOT suitable for diesel engines (you’ll want the BG244 for that), it does boast such great benefits for regular fuel engines that users across the world are giving the product a big thumbs up! In the lab, we maintain the highest possible standards for research and development. New formulas are engineered in our Research & Development Lab and tested on vehicles in our Innovation Center. Then, if applicable, the formulas are further assessed at independent laboratories. The Research & Development Lab also oversees quality control of product manufacturing. Samples are tested at three stages: as raw material, after blending and on the filling line. The dedicated professional staff of the Research & Development Lab continues to evaluate and improve BG products to meet industry needs. how offend do you use the product? How long can 44k remain in gas tank? Is it harmful if you don’t drive that much say a tank can last a month?Will it still be effective? Will BG44K work in direct injection motorcycle engines with carbon build up on intake valves?